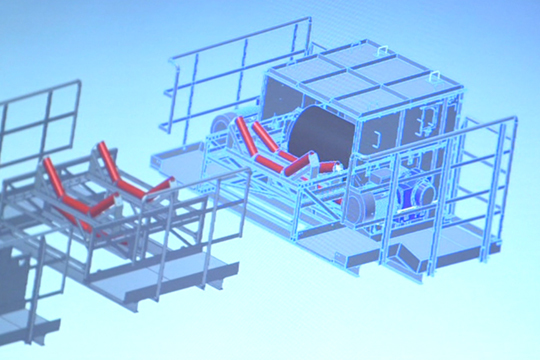 Our modular conveyor systems can be realized very fast, with very little planning and at low costs. The systems comprise a drive, bridge and reverse module which can be combined at will. The drive module is available with various motor ratings and the bridge modules are available in various belt widths (from 650 mm to 1,200 mm) as well as lengths of 1.2 and 6 meters. 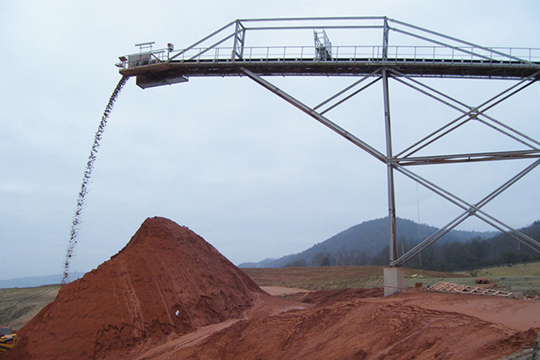 Depending on requirements, our customers can choose between versions with or without gangways on one or both sides.